RTL WEST reports on EU Projects P4SB and Bots2ReC! RTL WEST reports on P4SB and its fellow EU funded project Bots2ReC at RWTH Aachen! Many thanks to RTL WEST for allowing us to publish their report on the P4SB project's YouTube Channel. This Report has an audio track in German, subtitles are available in both German and English. Congratulations to the two projects' teams! Interested in learning more? Go check out the video! Want to know more about Bots2ReC? Visit their Webpage! The German Broadcaster WDR has reported on P4SB! A video clip of this news report is now available on the P4SB YouTube Channel. Many thanks to WDR for allowing us to publish their report on the project's channel. The video has an audio track in German, subtitles are available in both German and English. Curious? Go check out the video! Hoffnung beim Kampf gegen Plastikmüll? 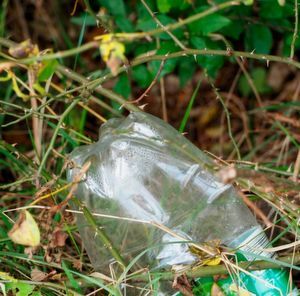 This very interesting article about the struggle against plastic waste was written by Marc Platthaus for Labor Praxis' Website, and was originally published on 16.02.18. Platthaus' article is based upon a publication by Dominik Danso, Christel Schmeisser, Jennifer Chow, Wolfgang Zimmermann, Ren Wei, Christian Leggewie, Xiangzhen Li, Terry Hazen, and Wolfgang R. Streit, with the title: "New insights into the function and global distribution of polyethylene terephthalate (PET) degrading bacteria and enzymes in marine and terrestrial metagenomes". The article (in German) written by Platthaus can be found here! The original publication (in English) can be found here! New Publication by Our Partners! 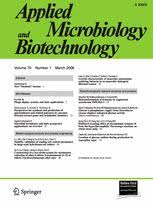 "Immediate response mechanisms of Gram-negative solvent-tolerant bacteria to cope with environmental stress: cis-trans isomerization of unsaturated fatty acids and outer membrane vesicle secretion"
This article first appeared on Springer Link on February 15th, 2018. It is an open Access publication and was written by Christian Eberlein, Thomas Baumgarten, Stephan Starke, and Hermann J. Heipieper. Congratualtions to the authors! Go read it right now on the Open Acces Springer Link Webpage, or learn more about this article from our Foregrounded Publications Section!